Paul Worsteling, iFish host and Victorian Regional Channels Authority 'Keep Clear Of Big Ships' ambassador. The Port of Geelong has welcomed 635 ship visits in the last financial year, up almost eight per cent on the previous year. Michael Harvey, the chief executive officer of Victorian Regional Channels Authority (VRCA), which manages the port waters, welcoms the influx. “We continue to see the expansion of existing trades as well as the introduction of new business that underpins the importance of the port to the Geelong and Victorian economies,” he says. The VRCA anticipates further growth in both port activity and its consequent contribution to the Geelong economy. “We are currently preparing a Geelong Port Development Strategy to ensure the port continues to provide a competitive international gateway for bulk freight in what is a changing economic landscape,” Mr Harvey explains. With increased shipping activity and the onset of spring, pleasure-craft enthusiasts are reminded to ‘Keep Clear of Big Ships’ – the slogan of the VRCA’s ongoing public safety campaign. Featuring in the campaign is ambassador Paul Worsteling, one of Australia’s best-known recreational fishing personalities and host of the popular iFish television show. 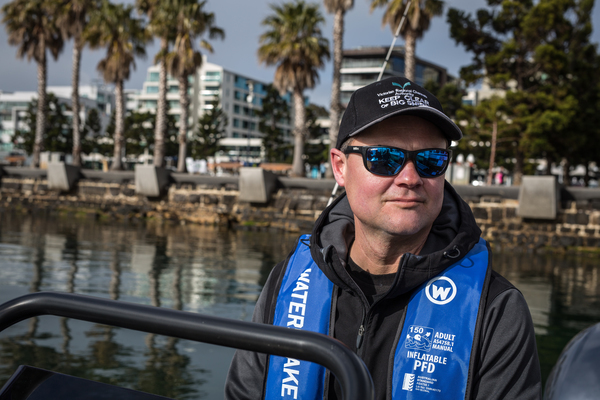 “There’s nothing better than getting out on the water but when you’re out there you need to remember that you’re not the biggest fish in the sea – you need to keep clear of big ships,” Paul advises. Paul’s series of infomercials and more information about how to stay safe on the bay are available at vrca.vic.gov.au.